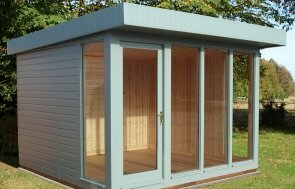 This traditional styled Burnham Studio is part of our wider range of Garden Studios & Offices, all of which include free delivery and installation as part of our end-to-end service. 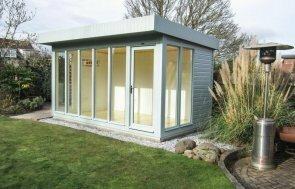 This particular model was installed in our customers' garden in Berkshire for use as a Garden Office. The exterior shiplap cladding features our Valtti paint and the roof is completed with slate effect tiles, which carry a 50 year limited warranty. The Valtti paint is durable because it bonds to the timber and ensures longevity. 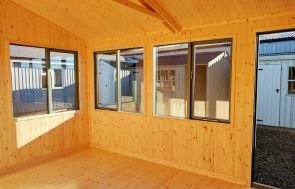 Internal features include Oak Faced Ply lining the insulated walls and an electrical pack with a heater to ensure this building can be used all year round. 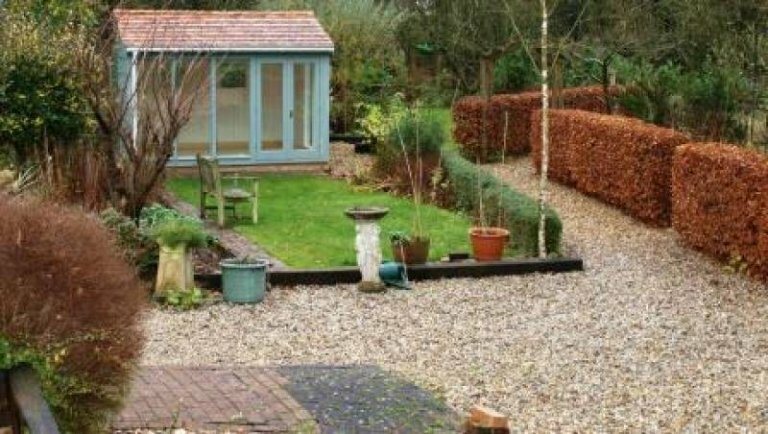 Our show centre, located in Newbury in Berkshire has more than 25 different size and style display buildings on show, so you can experience the design and construction quality for yourself. Alternatively, please Request a Callback, Contact Us directly or call us on 01760 444229 if you would prefer and one of our friendly team will be more than happy to talk through your requirements with you.